While designing the nearby Parc de la Ciutadella, Josep Fontseré also designed the Mercat del Born (1873-82), a massive work of iron and colourful patterned tiles, which in its day was the largest iron structure in the Spain (some say Fontseré wanted to outdo iron pioneer James Bogardus’s Santa Catalina warehouse in Havana). The Mercat del Born served as Barcelona’s wholesale market until 1971 when, like Les Halles in Paris and Covent Garden in London, the fruit and vegetables, the chickens and fish and carcasses, and all the colourful characters who converged here to buy and sell were relocated to the outskirts of town, depriving the district of much of its former bustle. The building, however, has remained, and plans to convert it into the Biblioteca Provincial de Catalunya were waylaid in 2002 with the discovery of the ruins of the houses and streets that were destroyed in the early 18th century to build the Ciutadella. 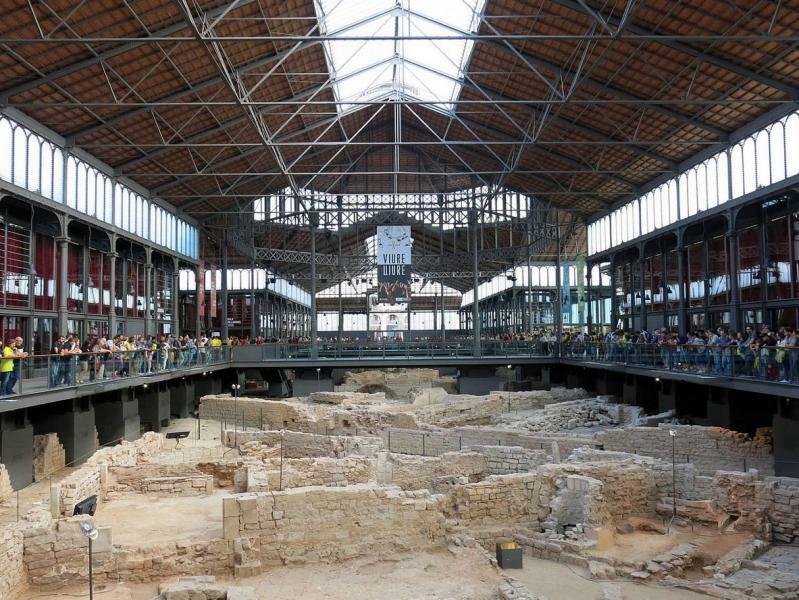 The ruins have been cleaned up, and the new Centre Cultural del Born opened on schedule on Catalan National Day (11 Sept) 2013, with a permanent exhibition of finds from the Barcelona of three hundred years ago, including a 'War Room' of the over 300 bombs discovered on the site.